Newport and Balboa Pier are both in Newport Beach and only two miles apart, although each has a completely different vibe. The very first Ruby’s Diner lies at the end of Balboa Pier. There are now 5 Ruby’s Diners gracing the end of piers in Southern California. The upper deck offers unparalleled views and tall sheets of Plexiglas protect patrons from windy ocean blasts. The Balboa Pavilion and the Balboa Fun Zone are one of Southern California’s oldest and last great coastal amusement areas. Visitors can enjoy rides on the waterfront Ferris wheel, play games in the arcade or tour the nautical museum. 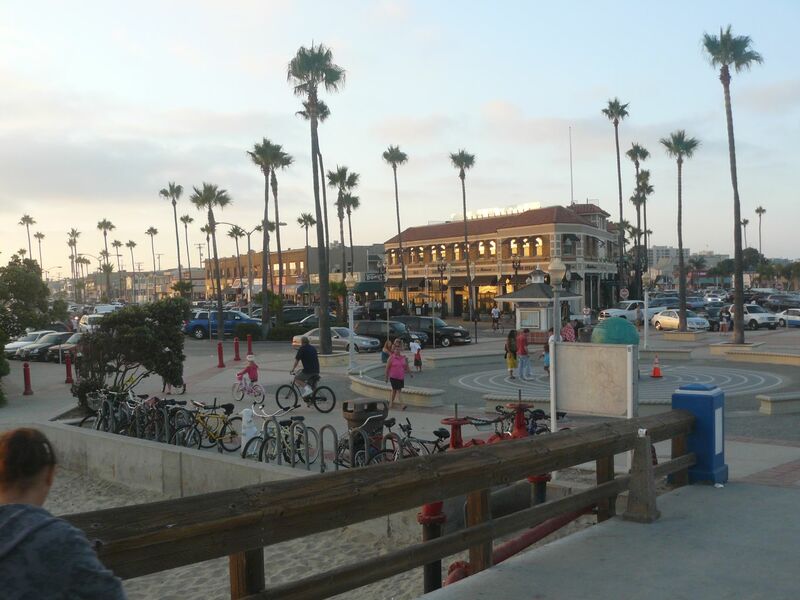 You can even take your bike on the ferry and cruise around Balboa Island. 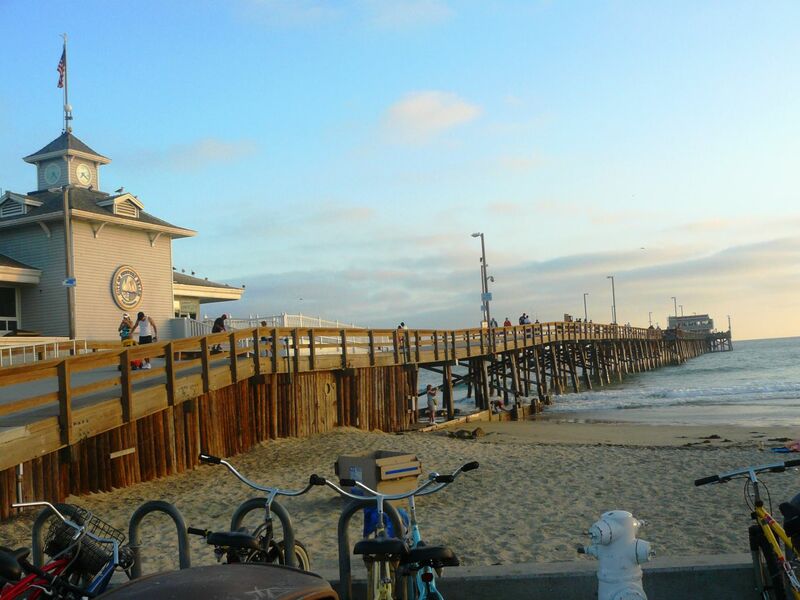 The Newport Pier is one of two piers located within the city of Newport Beach, California, at the center of the Balboa Peninsula. It is 1,032 feet long and registered as California Historical Landmark number 794. As the sun sets, Newport pier becomes completely filled with people fishing.